Comet in Moominland is one of Tove Jansson’s earliest Moomin stories. All is not well in Moomin Valley, and Moomintroll and his friends decide to find out what is wrong. On their exciting journey, Moomintroll meets new acquaintances, and at the observatory he learns of the comet threatening their home. What will happen to Moomin Valley? Comet in Moominland was a huge success with audiences in its first season, and its additional performances were also sold out. This production forms part of the FNB’s programme for the centenary of Finland’s independence. 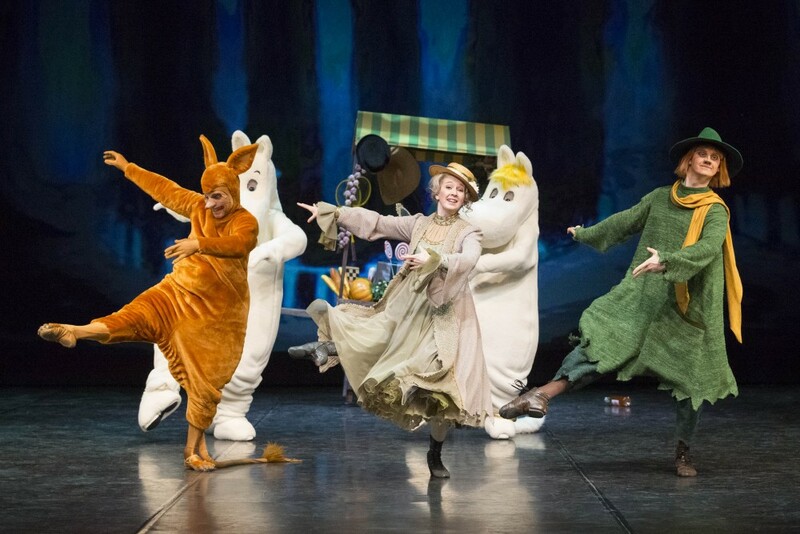 Moomins can dance ballet too! Anandah Kononen’s choreography brings this familiar, exciting tale to the world of ballet. 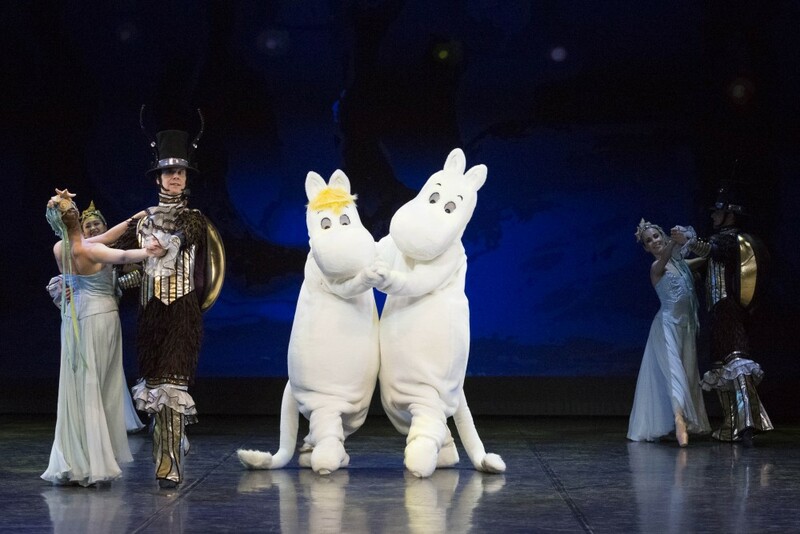 Moomintroll and his friends are seen on the ballet stage, and even Moomintroll takes a dance step or two, although his body is not really suited to ballet. However, the characters encountered on the journey provide a generous helping of classical ballet! 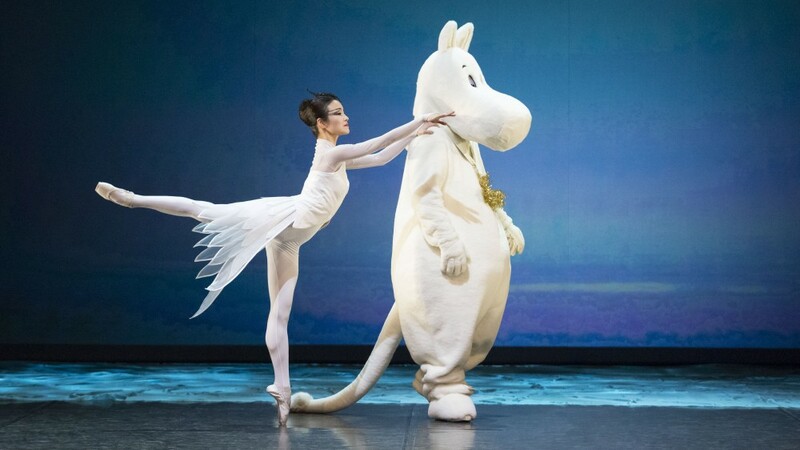 The ballet version follows the story of Tove Jansson’s book faithfully. The fascinating costumes and familiar characters are attractive even for young viewers, but because of the occasional excitements in the story, the production is recommended for children aged over 4. Heavy rain is falling in Moomin Valley, and the environment has turned grey and dusty. Moomintroll and Sniff embark on a journey to the observatory to find out what is causing these natural phenomena. On the way, they are joined by Snufkin, who tells them about the comet. The trio encounters many adventures and meets new friends. Snufkin tells Moomintroll about the Snork Maiden, and Moomintroll dreams of her. At the observatory, our heroes learn that the comet will brush the Earth in a few days’ time! They decide to hurry back to Moomin Valley, but first they must find the Snork Maiden! 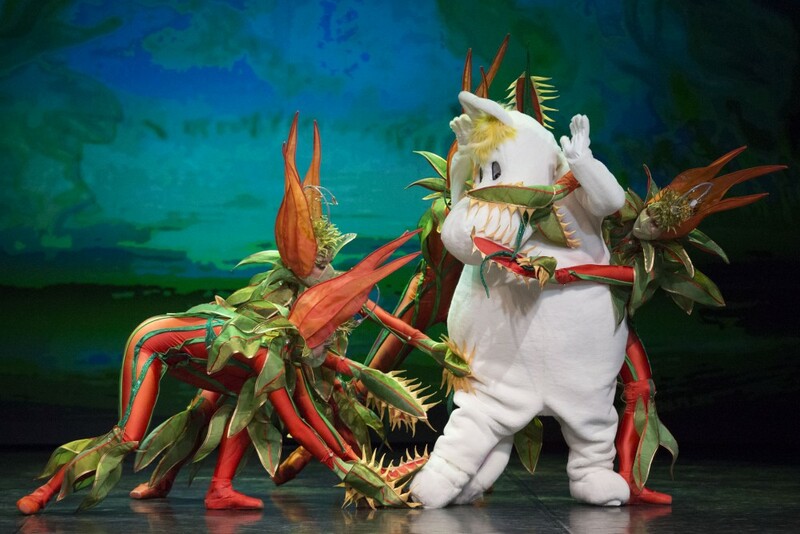 Moomintroll discovers the Snork Maiden, who has been snared by an angostura plant. He saves her and asks her to come with him to Moomin Valley. The travellers are invited to attend a dance, but they soon notice that all the waterways have dried up and that locusts are eating everything in their path. Back in Moomin Valley, the family retreats to a cave to shelter from the comet. The comet hurtles towards a seemingly sure collision with the Earth, but at the last minute it misses by a hair. The water returns to the sea, and the sun comes out. 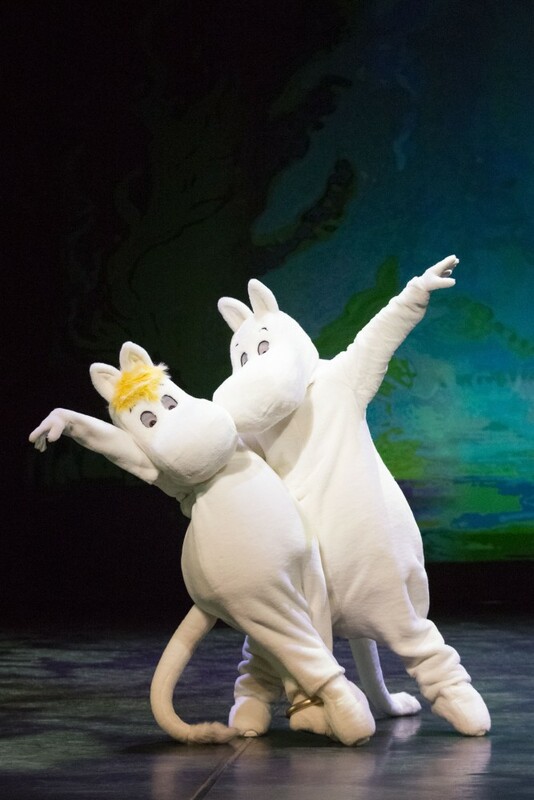 Moomin costumes made by Artistiasu Oy. 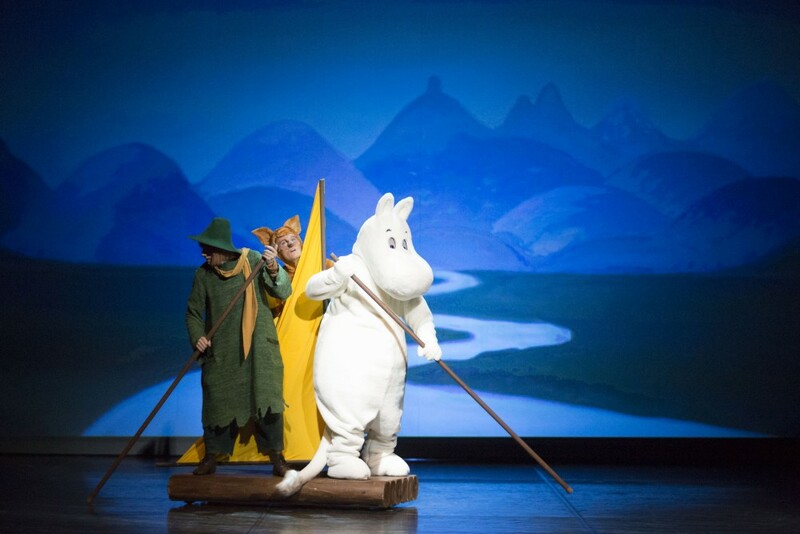 Moomin and the comet forms part of the official celebrations for the centenary of Finland’s independence. See what you like: choose your favourites on this season’s rich menu. Book your refreshments beforehand online or at the Opera Restaurant sales desk; you will have a much wider range to choose from, and you will not have to queue in the interval. Download the seating plan of the Opera Restaurant (PDF).